I learned that humans tried to settle near fresh water like the river(drinkable water and natural irrigation), on plains(easy to build houses and farm), and a location that surrounded by mountains or deserts so that it is protected from invaders. Also, I learned the advantages and the disadvantages of the environmental factors of Ancient Egypt. Lastly, I also learned the uses of the papyrus, reeds and trees. In my project, I am very proud that I learned a lot about the environmental factors of Ancient Egypt and Canaan, how they influenced the human settlement, and the advantages and disadvantages of them. Also, I am proud that I can explain the things I learned about the environmental factors of Ancient Egypt to other people. If I do this project again, I would memorize my script so that I can explain fluently and solve the problem of the distracting sounds of the keyboard. It was me and Nam Nam’s first Spanish project; it was very fun using iMovie and acting. Good Bye Elementary School, Hello Middle School!!! To the next fifth graders : Behave well, don’t play games in work time, listen to teacher’s advice, try your best, don’t give up and be great fifth graders. I’m going to Korea for five weeks, then I’m going to go to a music camp for a week, and I’m having a concert. I’m looking forward of the Week Without Walls and getting grades like A or B. Our Middle School Principle, Mrs. Burger!! Our Elementary Principle, Dr. Keller!! Our group chose to work on the sprinklers, because we noticed SSIS was wasting a lot of money and water and also harming the grass. Our solution is to buy the timers, attach it to the faucet, set the time and let sprinkling only in the right time. You may ask how is this sustainable? Well, it is, because if we attach the timers, set the times, and let it run, we could save water. For the ecology, it is good, because we can save water and water is precious. For the economics, it is also great, we would reduce the water bill and overtime we will profit. For the politics, it doesn’t affect any law or rules in Phu My Hung, so it is fine. For the culture, it doesn’t affect any religious thinking or cultural thinking. Also, which religion or culture won’t like trying to help save water? To prepare for the final proposal, the infographic and Shark Tank pitch, our group did lots of things. We had to observe, make graphs, online research, e-mail, send surveys and more. We chose each other’s part what to do and we worked together. The most interesting thing I learned during this project is that the higher the heat is, the lower the humidity is, and the lower the heat is, the higher the humidity is. Also, if the humidity is high, the percentage of the evaporation will be low, and if the humidity is low, the percentage of the evaporation will be high. The most challenging part during this project was when we was presenting and answering questions in front of the “Sharks”, because I was really nervous and the “Sharks” sometimes asked unpredicted questions that we didn’t prepare. So before we presented, I took three deep breathes and calmed down. I think our group did well on separating jobs and on working together. Also, I think we did well on writing the proposal and choosing the paragraphs of each others for the final proposal and finishing the work fast. If our group did a project like this, we could to do better at doing more researches and find a better solution such as making the timer with something like little bits. Also, we could write and prepare a better script. Then everyone chose the most interesting main word and the most interesting complaint that is in the main word that you chose. After the choosing it, everyone made a group that chose the same main word and discussed how solve this problem. For the hackathon, I chose littering because I thought it was like the most thing that pollutes the Earth. For example, people litter common trash, wasted food, and some resources. We had to brainstorm solutions and choose the main the solution we will work on. Then we drew and wrote the STAR poster. The STAR stands for S=Situation-What problem would the idea solve? T=Task-What are you trying to do? A=Actions-What are the steps or things you need to do to carry out your plan? R=Results-What kind of results do you want? How will you know if you succeed? S A lot of people litter vast amount of trash and do not recycle. T We are trying to make a project building artworks with trash and display them in Learning Journeys. Make recycle bins that will separate recyclable trash and non-recyclable trash. Check the recycle bins everyday and get recyclable trashes to get materials to create artwork. In Art class or in Unit Studies, every grades make artworks. R Our project will success if less amount of trash which are littered and go to the dump. I think my group’s idea is sustainable because if we do this project, it will help the trash being less dumped and pollute and damage the Earth which is our best planet that helps us live. I think developing and presenting our idea idea was yellow, because we explained a lot why it doesn’t affects ecology, economics, culture, and politics and the “STAR” idea, but I think our idea exists in our school and it is not quite really interesting. Also, after making the sculptures, it will turn into trash again. The fifth graders went to a trip to Cat Tien for the unit called eco-system. When everyone arrived to the school before going, Mrs. Johnson divided us to two groups and then we went to Cat Tien. My friends and I were really excited that we are going to experience nature. Hiding foods for moon bears(the moon bears are called moon bears because they have a crescent shape on their chests) and observing the moon bears was the first most interesting thing I did in Cat Tien. Our group went to the Moon Bear Rescue Center then we divided into two groups. One group made foods that are inside bamboos and one group hid peanut butter and the fruits. Also, the group that made the bamboo food hid it inside a wood pile and in bushes. When we observed moon bears finding and eating foods, it was cool watching them standing and climbing up to find foods. Observing Golden-Cheeked Gibbons was the second most interesting I did. Our group went up to the observation platform and observed to gibbons swinging, jumping, and climbing on the tree. They were only a few years old so I thought that they would climb not well, but they climbed really well. Also, it was cute looking at the Golden-Cheeked Gibbons playing on the tree. The most interesting that I learned was that pygmy lorises can make venom by the chemical of their saliva mixed with the chemical that comes out on their fur. Whenever a predator tries to eat the pygmy loris, the pygmy loris can bite them and run away. Also, the other interesting thing I learned is that a human can see not well as a cat, but see quite well in the dark because of our night vision. Another interesting thing I learned was that the gibbons born with blond fur and after they become two years-old, their fur changes to black. Then after they become five years-old, females change their fur to blond again and males don’t. The challenging part was when our group was walking for the night sensory hike, because we had to walk in the dark with no light and I saw nothing only darkness. So I tried to concentrate on seeing in the dark and waited until I could see something. Also, I tried to concentrate on the light the stars were giving so that it will help me see at least 0.1% better. After walking few minutes, I could see basic things like trees, leaves, and the road, but with no colors. Next year, if the school adds another day, it would be great if there will be more animal experiences such as observing more different kinds of animals and feed them. I suggest playing gamees at the place where we did the night sensory hike in the night, because we can have more night vision activities and experience the night vision. Also, I think it will be more fun than playing games at the activity field in the day. My topic for the research article was about Bon-Chan Ku and Hye Jin Chang, who were the gold medalists in 2016 Rio Olympics for archery. I chose this topic because I was really passionate about the Korean national Olympic archery team and the athletes of the Korean national Olympic archery team. I found a website that had articles and downloaded articles from the website. It was easy to find some articles, but some articles were quite hard to find it, because it was hard to find ones that had information that I needed. I learned how to organize my notes by color coding with my highlighter to find important information of different sections, how to take short and simple notes, how to outline my article, and about bridge sentences and transition words. I think I did a good job on highlighting important information, organizing my notes, and writing leads, body paragraphs, and concluding/bridge sentences. I could’ve been better at finding more articles that had more information and using more transition words, because I used few transition words. I used Pages to publish my article, because it is more familiar to me to write on Pages than Google Sites or iBooks Authors. While publishing my article, I learned about good repetition, which means repeating things like colors of the background, and good proximity, which means things related like the pictures and the texts. I think I made good contrast, because the text and the background were well matched. I also think I did good at alignment and repetition, but I think proximity could be better, because I had a few pictures that weren’t related to the text. At the beginning of the year, our class set a reading goal individually that could be completed before Tet. 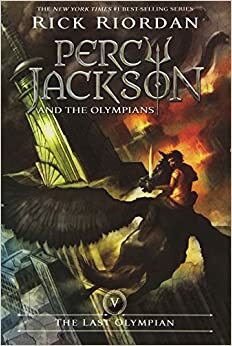 My reading goal was to complete an amazing book called Percy Jackson & and Olympians: The Last Olympian that had about 300 pages left. I did meet my goal by planning to read at least 20 pages and 30 minutes every day, even on the weekends. That was my plan. So I read and read for about 10 days and I met my goal! The book’s genre is fantasy and Rick Riordan wrote this book. The book is about Percy Jackson, the other half-blood friends and the Olympians fighting Kronos’s army to save Olympus. My favourite part is when Luke wakes up inside Kronos and tries to sacrifice himself to kill Kronos and gets his sword, Backbiter, and stabs his own hand, which is his own Achilles spot. I really recommend this book to readers who are interested in Greek myths and don’t know Greek myths that much, because the book series is based on Greek myths. Reflection : I learned in this experiment that if the baking soda(NaHCO3) and vinegar(CH3COOH) meets, they will react violently and really fast. Also, I learned that with the real rockets they fail and they found out what’s wrong. My favorite part of this experiment was when the reactant met the vinegar and reacted before we put the clay to block the gas going out, because our team was mad and it was quite funny. I think if we were going to do this again we could get bottles which fit with a cork and use a cork instead of clay. I also think we should reduce the amount of baking soda and get a better funnel.